To anyone even glancingly acquainted with the history of American education, it is hardly news that our colleges have their origins in religion, or that they derive their aims, structure, and pedagogical methods mainly from Protestantism... Many academics have a curiously uneasy relation with these origins, as if they pose some threat or embarrassment to our secular liberties, even though the battle for academic freedom against clerical authority was won long ago. If you were to remind just about any major university president today that his or her own institution arose from this or that religious denomination, you'd likely get the response of the proverbial Victorian lady who, upon hearing of Darwin's claim that men descend from apes, replies that she hoped it wasn't so - but if it were, that it not become widely known. 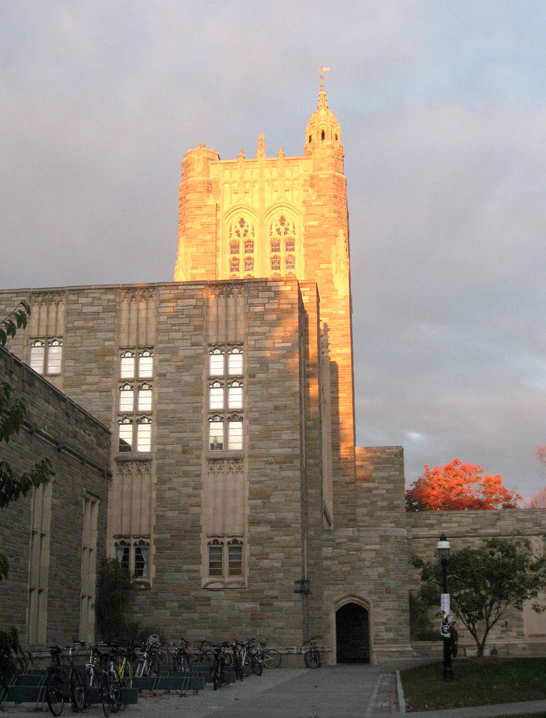 [One] plus for Gothic at Princeton was its religious tinge: a churchly, monastic quality suggested a bulwark against secularism, especially appreciated by the many ministers on the faculty and among the alumni (fully one sixth of the graduate were ordained). "Princeton's crowning merit," said a reporter [in Harper's Weekly, 1887], "is that it can keep pace with all the learning and progress of the age without yielding to the encroachments of modern unbelief." Parents could trust that their sons would learn the most advanced subjects and approaches "without sacrifice of those principles which are inculcated in the Bible... Its founders and upholders have pledged themselves and their successors to be true to that religion which has been faithfully taught here from the beginning." 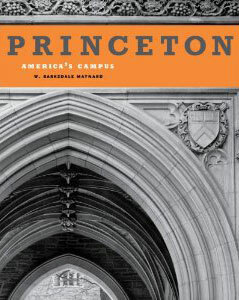 Tigers celebrated their "loyal adherence to the sturdy, unsectarian, evangelical Christianity which is synonymous with the name of Princeton." No style could better connote this time-honored and pious approach than Gothic (p. 82). But if one can't afford, or does not prefer, the Gothic - another tack would be to simply reexamine founding ideals as one ingredient to present renewal - perhaps by reasserting Dickinson's motivation with a motto like (to choose one college at random) For Christ and His Kingdom.